The case viewer offers multiple viewing protocols, resembling the real workstation. A magnification tool allows to zoom into minute details. 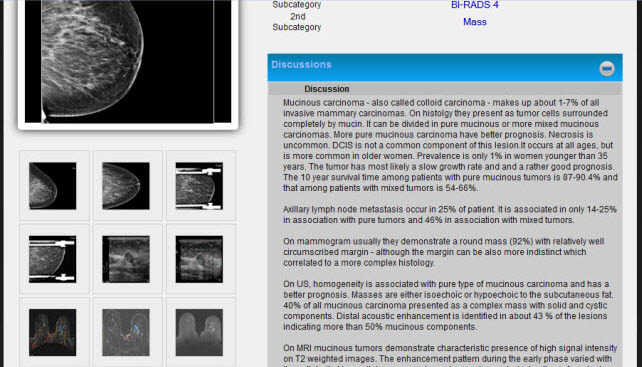 Mark abnormal findings and decide which BI-RADS category it is. After a session, the program provides feedback about where the user placed the markings and compares them with the true findings. 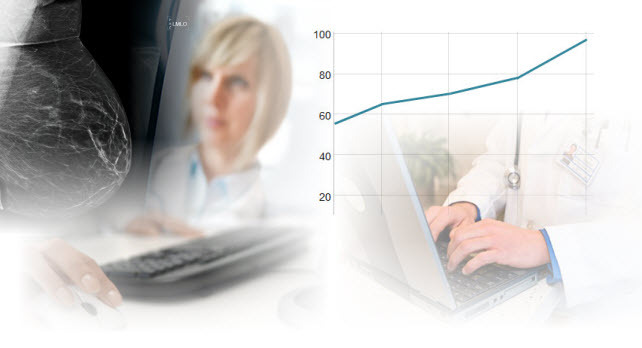 MammoCoach provides detailed statistics and a comprehensive analysis about the user's performance. 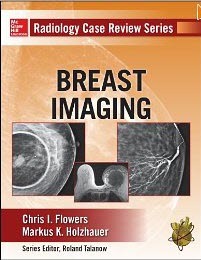 Cases are crosslinked to comprehensive example cases, containing example images, detailed discussions, pearls and much more about the respective entity. 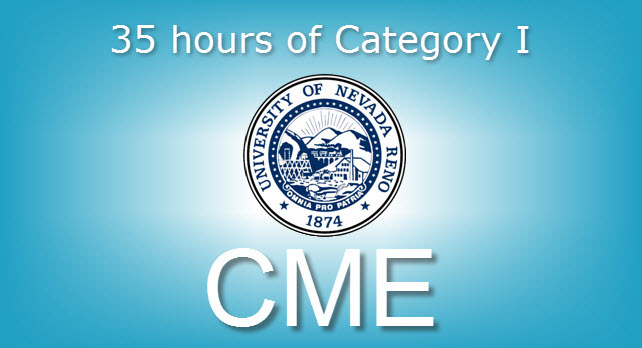 Receive immediately 35 hours of Category I CME credits after completing the program. Qualified by the American Board of Radiology in meeting the criteria for practice quality improvement (PQI), toward the purpose of fulfilling requirements in the ABR Maintenance of Certification Program. 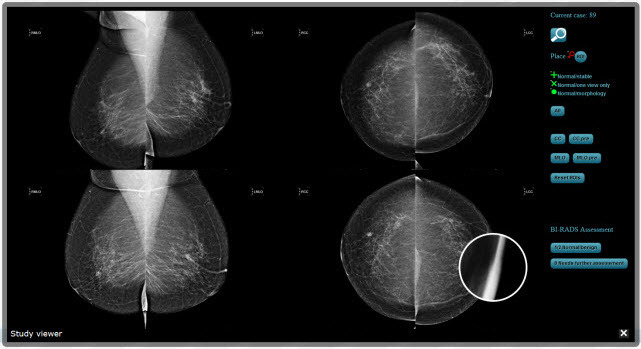 MammoCoach offers institutional licenses – please contact us for special rates. The user reads the exams as on a real workstation and determines if normal or abnormal and if abnormal, where the pathology is located and what is seen. 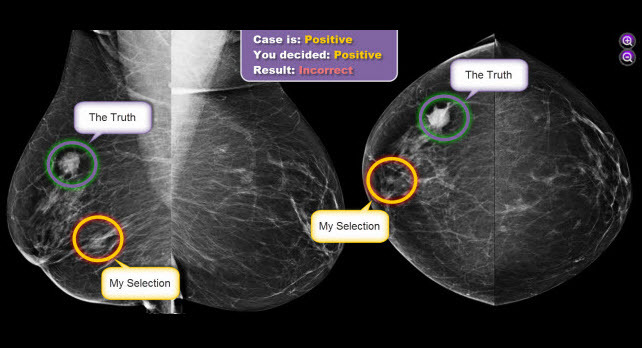 An intelligent coordinate based algorithm saves the pathology location. After the exam, the system calculates the user results with the true results and provides detailed analytics about user performance and comparison with their peers. 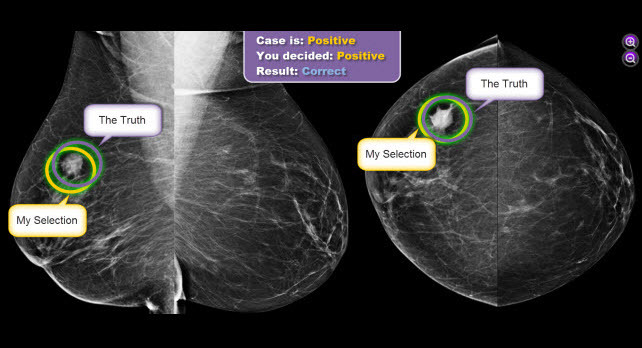 Results provide analytics with percentage of correct cases, correct BIRADS classification and diagnosis. Each case can be reviewed and your ROIs can be compared to the "true positives". Each case can be also reviewed by comparing your ROIs with the ROIs your peers have marked. Are you with the mainstream or off?